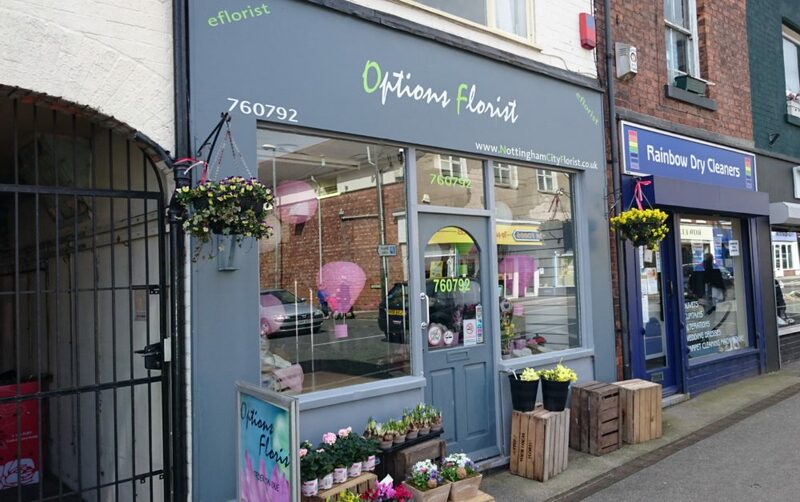 Options Florists was founded in 1980 – giving us 30 years of experience of floral design and flower delivery. Our florist shop is based in Eastwood, Nottingham. We have a team of 4, highly qualified, professional floral designers who provide a range of unique flower arrangements for every occasion. If you are in Nottingham, feel free to pop in and meet our friendly staff to discuss your flower delivery needs or call us free from anywhere in the UK.